Believe it or not, you can keep cherry shrimp and bettas together. And I don’t mean, topping up your tank with more cherry shrimp every few months. But continued survival and reproduction of the cherry shrimp in your tank! While some bettas won’t live with any other tank mates, there are a lot of circumstances that can cause this to happen other than their temperaments. Keep reading to find out what you can do to give your red cherry shrimp the best chance of survival with your betta! 3 Is It That Bad If Your Betta Eats Your Cherry Shrimp? 6 What Size Tank Should You Use? If you think your betta will get along with cherry shrimp, then the next step is for you to introduce them to the tank. 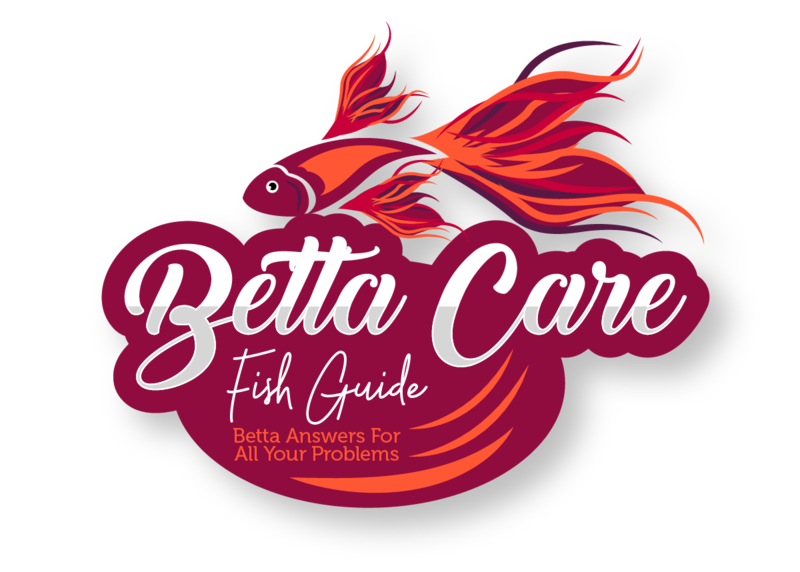 Here are a few things you can do to make sure that your betta is going to leave your shrimp alone. If you haven’t bought your betta yet, the best thing you can do is pick one that already lives with shrimp and other fish. This is a clear indicator that they can be a good tank mate and they won’t kill your shrimp. Don’t pick a betta that’s on his own. Not only does this signify that he could be too aggressive, but it could also show that he’s sick. 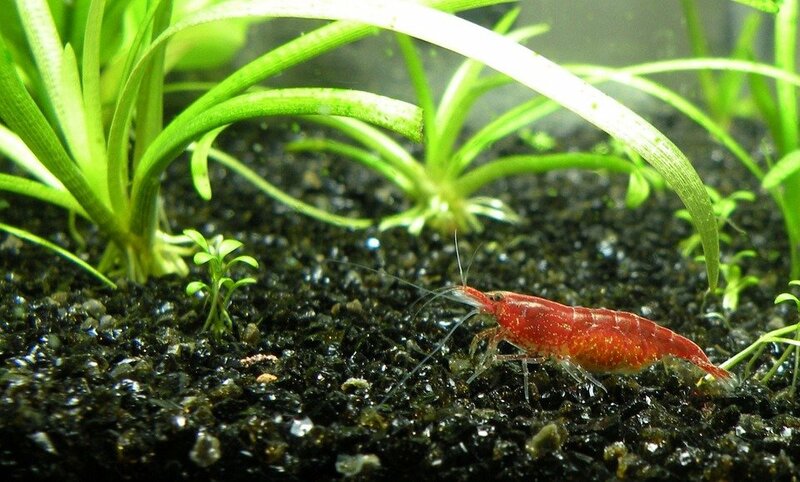 The number one thing you can do is give your cherry shrimp plenty of hiding places. Your tank should be abundant with driftwood and java moss which are both going to act as the perfect shelters from your betta. Not only are these going to be beneficial to your red cherry shrimp but your betta will love them too. Lots of hiding places are going to make your betta feel safer. And counterintuitively, the safer your betta feels, the more likely he is to stay out in the open. This is probably the second biggest factor that will determine whether bettas will attack or not. If there’s not enough space then your betta may feel frustrated. He may also notice your shrimp more often and be prone to attack. Normally you can keep cherry shrimp and bettas on their own in a 5 gallon tank. However, when you’re putting them together I wouldn’t put them in anything smaller than 10 gallons. 10 gallons gives both species plenty of space to move around, without constantly being under each other. However, as always bigger is better. The bigger your tank the less likely your betta will be to attack. Sometimes your betta will attack tank mates who he believes are in his territory. However, if it’s possible you should try adding shrimp first so your betta thinks they were there first. You should make sure that your tank has fully cycled before adding shrimp as they’re very sensitive to parameter changes. While you can never know for sure when your betta is going to attack cherry shrimp, there are often a couple of signs. Obviously, if your betta is attacking other tank mates then the chances are he’s going to attack your cherry shrimp. People also report that when they add cherry shrimp to their tank, their betta immediately attacked them. And kept going after them no matter how much they ran away. If you notice your betta doing this, then the chances are he’s not going to stop until he kills them. Is It That Bad If Your Betta Eats Your Cherry Shrimp? Another thing you should consider if you definitely want cherry shrimp is how bad would it be if your betta ate them? After all, he is a predator, and it would be a good way to fulfill his hunting instincts. This could reduce his levels of stress, entertain him and give him a nutritious meal. This will all come down to how you feel about it morally. If you don’t mind that the shrimp have no place to escape to and you want to keep feeding him then go ahead. However, remember there are other alternatives, such as daphnia, mosquito larvae and brine shrimp. But cherry shrimp so make a nutritious snack for your betta and they’re reasonably cheap to replace. If you think your betta is going to leave your shrimp alone, the next step is setting up your tank. First of all, you’re going to want to match the natural habitat of both species. 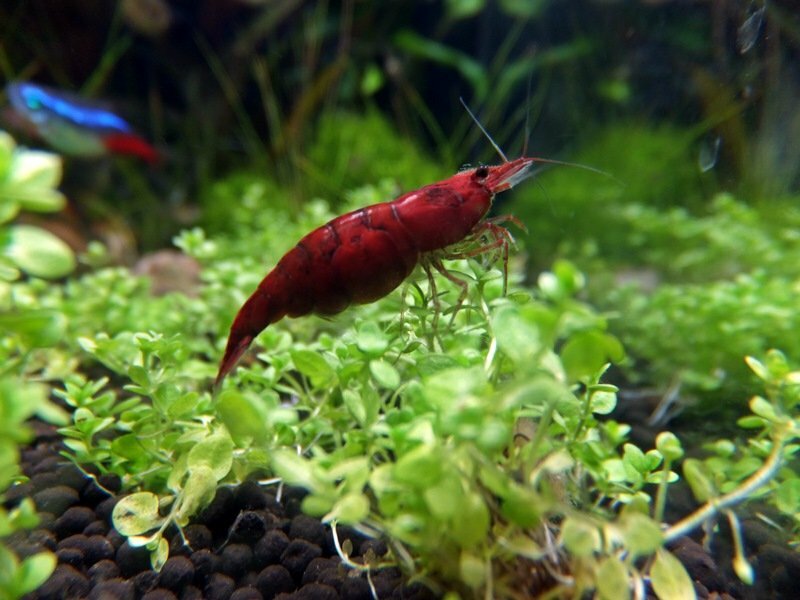 Cherry shrimp are used to a rocky substrate, lots of dense vegetation, and loads of places to hide. Bettas will also love this setup. As well as having small crevices for your shrimp to hide in, you should also add larger ones for your betta. If you’re going to add plants then java moss is the best for shrimp. When it grows long enough they can hide within it and underneath it, if you’ve attached it to something. Most plants are going to be great for bettas. I’d definitely recommend anubias and betta bulbs though. Their large leaves will give your betta plenty of places to hide and rest on. When you’re adding substrate make sure the gaps aren’t too big, and the gravel isn’t too heavy. Often times if this happens your shrimp can get a leg caught. As well as this, when you have smaller gravel, your shrimp will be able to forage through it easier so they can eat more debris. And one last thing, you really need to be careful with the filter you plan on adding to your tank. It’s a common problem that shrimp end up getting sucked into the filter and die. Sponge filters are best, but for best results, you should try using a canister filter or HOB filter with some filter sponge on the intake tube. This will stop your shrimp crawling up and getting stuck. If you’re adding a lot of shrimp, they’re going to need an air stone as well. This will oxygenate the tank, which they’ll need to breathe. When you’re adding any tank mates together you want to make sure the water parameters match. And luckily cherry shrimp and bettas love the same conditions! Bettas need a temperature between 76-82°F and a pH level as close to 7 as possible. Cherry shrimp, on the other hand, can survive in a temperature between 77-81°F, and a pH level between 6.2 – 7.3. But if you want the best results for your betta and cherry shrimp then you should be even more specific than that. While a betta does like a pH as close to 7 as possible, if you can keep it at 6.8 then your shrimp will be happiest. Likewise, if you should keep your tank temperature at 80°F. While it’s a tiny bit warmer than your betta is used to, it’s going to be the ideal breeding temperature for shrimp. What Size Tank Should You Use? As previously mentioned, while cherry shrimp and bettas can live on their own in 5-gallon tanks. However, when you’re putting them together you should use a 10-gallon tank. A 10-gallon tank will make your betta feel less territorial. As well as this, you’ll also be able to provide a lot more hiding spaces for your cherry shrimp in a 10 gallon. They’ll also have more space to get away from your betta as well. When you’re keeping cherry shrimp with bettas you’re not going to have to do anything too specific. Of course, you’re going to want to feed your betta a variety of food. High-quality pellets are the standard in most cases, however, they should also be supplemented. Adding daphnia, mosquito larvae, brine shrimp and the occasional bloodworm are also going to be beneficial. Your cherry shrimp are going to love anything you feed your betta. And not only will they eat it, but they’ll also get to work eating any algae/plant matter in your tank as well. In fact, you should only be supplementing a shrimps diet roughly once a week with a sinking algae wafer. If you supplement it too much, they won’t eat the rest of the algae in your tank. If you are going to keep cherry shrimp with your betta there are some things you’ll need to remember. The most important one is to never add copper to the tank. Copper is extremely toxic to shrimp and even a small amount will kill them quickly. If you need to add copper medication to your tank then you should quarantine your betta. Even tiny amounts of copper can be fatal to shrimp. Secondly, remember that your cherry shrimp is going to molt. When they molt they are at their most vulnerable and your betta may try to eat them. Make sure you’re giving them plenty of placed to hide. And don’t worry about removing their old exoskeleton. All the cherry shrimp in your tank can eat it for the nutrients. Lastly, make sure you’re keeping the ammonia and nitrate levels under control. Cherry shrimp are sensitive to ammonia spikes and they can kill them quickly. The best way to reduce the chance of an ammonia spike is by adding lots of plants to your tank, filtering the water and performing frequent water changes. In conclusion, keeping bettas and cherry shrimps together can often work and they make excellent tank mates. With that being said if you know you have particularly aggressive betta then you should avoid adding any tank mates with them. Here are the main points you need to remember. For best results you should try picking a betta that already lives with shrimp, give your cherry shrimp plenty of hiding places, and don’t place them in a tank smaller than 10 gallons. When setting up your tank make sure you add lots of plants such as java moss, anubias and betta bulbs. You should also add driftwood and caves to give your betta and shrimp places to hide. Make sure the gravel isn’t too big or a cherry shrimp might get their leg caught. You should keep the temperature of the tank at 80°F and the pH at 6.8 if you want your cherry shrimp to breed a lot. You should be feeding your betta a mix of live food and pellets, and let your shrimp scavenge from the floor. Only occasionally dropping in a sinking algae wafer. Never add copper medication to the tank or it will kill your cherry shrimp. Cherry shrimp molt, leave the exoskeleton for them to eat afterward and give them plenty of spaces to hide. Keep the ammonia levels low or your cherry shrimp will die. If you liked this article make sure you check out the rest of the website. Have a great day!